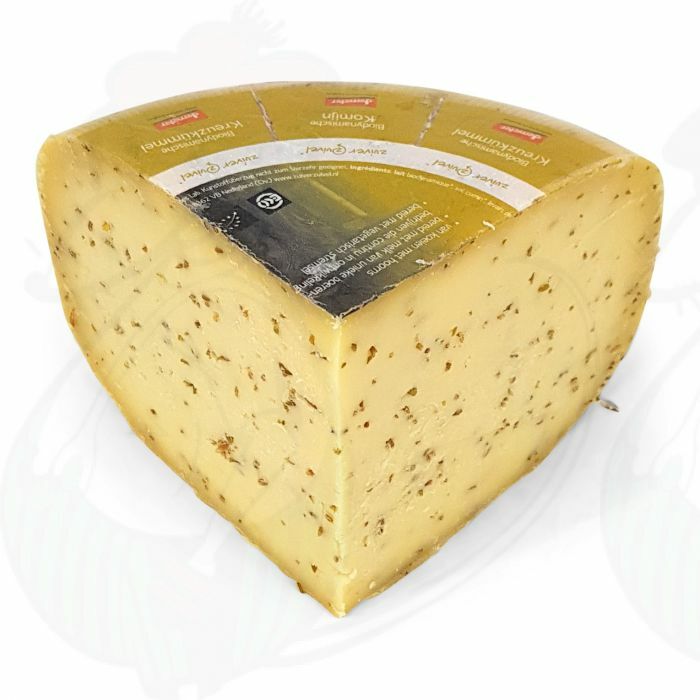 This biodynamic Cumin cheese from Weerribben Zuivel is deliciously creamy and full of flavour. By adding the cumin seeds, this cheese achieves a slightly sweet touch and a mild nutty flavour. Delicious eaten in a sandwich or as part of a cheese board. This biodynamic Cumin cheese is made using vegetarian rennet. This means that it can also be consumed by vegetarians.